Z Series wall-mounted louvres are one of the easiest ways to naturally ventilate a building, while also providing optimal protection from fire, heat and smoke. Airocle’s Z Series wall ventilation feature engineered design for optimal aerodynamic performance and are fully fire-certified. The Z Series wall louvres can be utilised either as a stand-alone ventilation scheme or can be linked together with roof mounted ventilation. Our units offer innovative, aesthetically-pleasing design and are stringently tested to all relevant Australian Standards. These louvres are a great choice for when a reliable, cost-effective, ‘green’ and sustainable natural ventilation scheme with added fire protection is required. Airocle’s Z series are operable, wall-based louvres perfect for a wide range of applications. Airocle’s Z Series louvres are appropriate for use on a range of industrial, commercial and community building projects and structures. Ideally, natural ventilation should be incorporated into the design of a project as early as possible. When determining the best system to address the size, scope and layout of a project, architects and designers must consider all relevant factors, such as climate, noise pollution, dust and wind direction. Our qualified team of natural ventilation experts are available to assist you in choosing the right ventilation solution to suit your individual needs – no matter what the project or building type. Simply Contact Us. Z Series louvre units are fire tested to AS2428.4. Airocle’s Z Series louvres are fully compliant with the Building Code of Australia’s requirements for natural smoke and heat venting. Scientifically engineered, Z Series louvres can be operated either pneumatically or electrically. Airocle’s continual investment in product innovation means we’re at the cutting edge of the natural ventilation industry while meeting the highest standards. The louvres are easy-to-install and customisable – available in steel, aluminium and stainless steel. Powder coated and Colorbond® finishes are available. 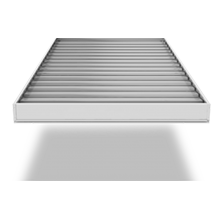 The Z Series louvres are available in modular widths ranging from 700mm-1500mm. Heights can be customised between 570mm-5938mm. 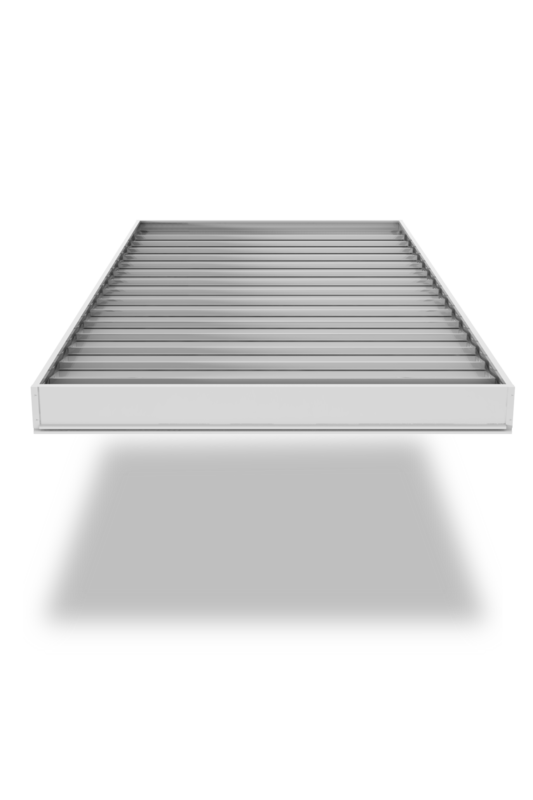 The Z Series louvres are able to be linked into fire control management systems. The system can then be provided with fire indication panels to allow environmentally-beneficial, passive air ventilation via either automatic or manual control. Optional rain and drist sensors, wind monitors and a fire mode over-ride application allows for the Z Series louvres to work across a range of dynamic environments. Airocle’s Z Series wall louvres are easily installable by qualified tradesmen and are supplied with all necessary fixtures. Once installed, the efficient natural design means they’re able to operate with very low running and maintenance costs. This provides long-term operational savings for both the building or facility and the environment. Adept at meeting your project requirements and exceeding expectations, our team of friendly experts is on hand to assist you in pinning down the exact requirements for your project or facility. Simply contact us for a no-obligation quote.